Happy New Year! I'll keep this short and sweet and show you my books so you can get to the prizes ;-) Please take a minute and tell me your favorite thing about 2012. Make sure to leave your e-mail address. In 2012, I released the first books in two paranormal romance series: "Dark Sentinels," and "The Alerians - Dark Progeny." "Dark Sentinels Book Two: Torin" is with my editor as we speak, soon to be released, and "The Alerians - Dark Progeny: Gideon's Light" is in the works! Jordan Taylor is a feisty, take charge, Rubinesque beauty with a tough façade, but after a string of lackluster relationships, her dream of a man who truly loves her and appreciates her strength seems impossible…Until she meets Canaan, the man her fiancé claims is his best friend! Instinctively, she knows her neat, if lackluster life is about to change. Born more than 200 years ago, Canaan looks like an angel but he’s far from it. In his world, the ratio of men to women is 500 to 1, and although he’s a superior being, he’s willing to break the most sacred law of his brothers, even drink human blood, to have one of his own. To claim Jordan as his own, Canaan will have to betray his friend, humble himself enough to win her love, and risk his very life. 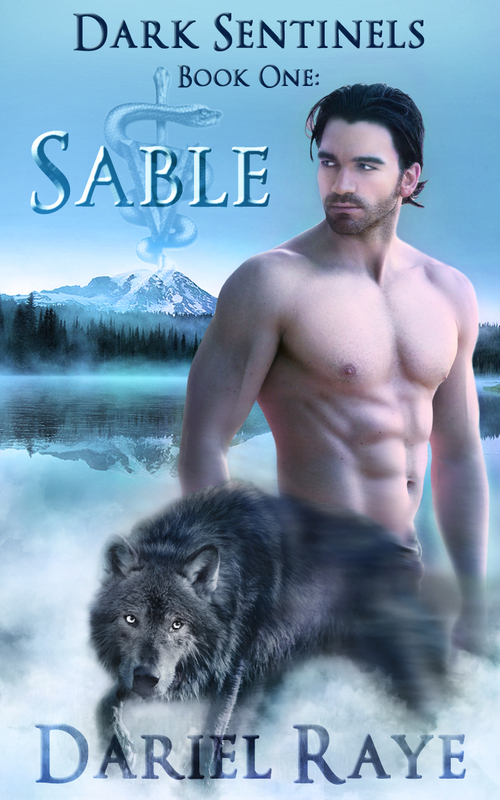 Buy "Dark Sentinels Book One: Sable"
It's another year over! Can you believe it? Well we authors, readers, and bloggers sure can't. And to celebrate the New Year with bang, we're going crazy and sending out so many prizes, fun parties, experiences, and other goodies, that it's a bit scary. 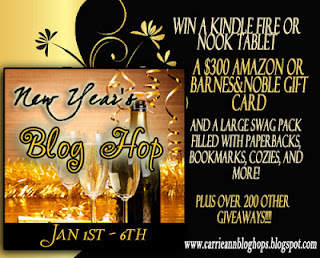 Each author has a favorite New Year memory, book, idea, or way to party and we're going to show you! Can't wait to see you January 1st - 6th! ...and the winner is...Nikki.t.23! Congratulations! 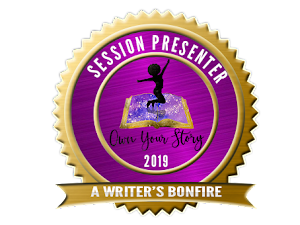 When did you know you wanted to be a writer? What were some of your first steps toward making your dream a reality? I had this nagging voice inside my head, telling me that I should write a book. It was not giving me peace, until one day I decided to listen, and this were my first steps toward my dreams. My book is inspirational and carries a life changing message which can be eye opener for so many. 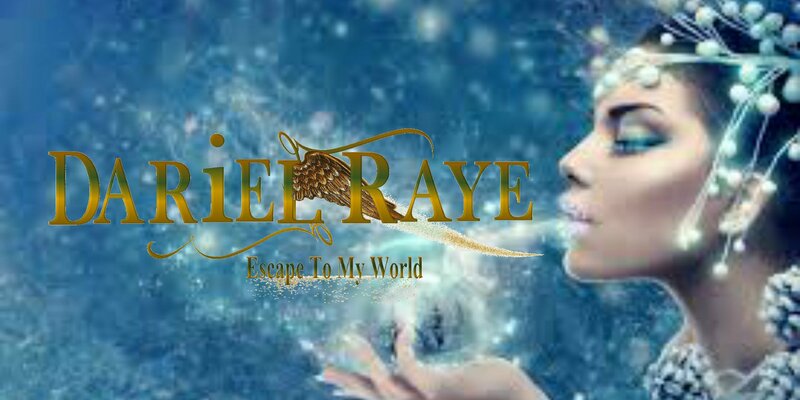 I have a plan to continue my mission to support and help with my writings everyone who has need of a helping hand. There is a new book coming next year, second part of Fire and Ice, that is what I want to reveal at the moment. How do your values show up in your writing? What do you want readers to take from your writing? I grow up with my grandparents, who were the most amazing people I have ever encountered in my life. They were caring and loving, and I learned a lot from them. I think this helped me be the person I am right now and that is what readers can take from my book. I love books about warm hearted people, who make difference in the world. What are some of the best social media, marketing, and publicity tips you’ve come across? So far, twitter has been an extremely successful tool for creating traffic to all of your media places. Recently, I discovered that Linkedin is a good place for publicity, and marketing. What are some things you know now about writing and being an author that you wish someone had told you at the very beginning? Very good question, I wish I had someone to tell me how much work it takes to write and market at the same time. It does not mean that I would have give up on it. Along that same line, what are some of your favorite resources? Life is my best resource for everything; the best ideas are coming from it. What lifts your spirits when you’re discouraged? Hope, I always have hope when things are bad. I am a believer, and I am taking every obstacle like an opportunity to grow and learn from it. Let’s never forget that anything is possible. What tips can you offer towards building and maintaining a strong support system as a writer? Do not pay attention when people are not supportive and try to bring you down. There are a lot of people who do that because they do not understand your writings or try to tell you clichés. Stay true to yourself and believe always, never give up, no matter what. 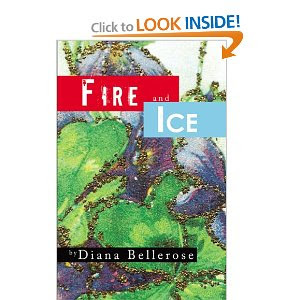 In Fire and Ice, Nancy, a naïve but resourceful, kindhearted woman, marries her high school sweetheart. As a working wife and mother, Nancy perseveres, despite having an abusive, alcoholic husband. Thank you so much for participating in Fridays with Friends, Dianna! What is the working title of your next book? 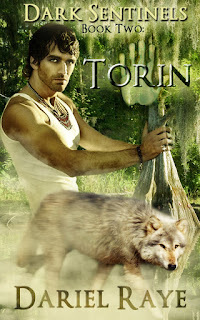 Working on two: “Dark Sentinels Book Two: Torin” and “The Alerians – Dark Progeny: Gideon’s Light” (book two). Not sure which I’ll finish first. Where did the idea come from for the book? The “Dark Sentinels” series is inspired by my deep love and respect for animals as well as the desire to champion them, and “The Alerians – Dark Progeny” series is inspired by the Biblical Nephilim, believed by some to be the descendants of angels who took male forms to mate with human women. How long did it take you to write the first draft of your manuscript?3-4mos. What other books would you compare this story to within your genre? 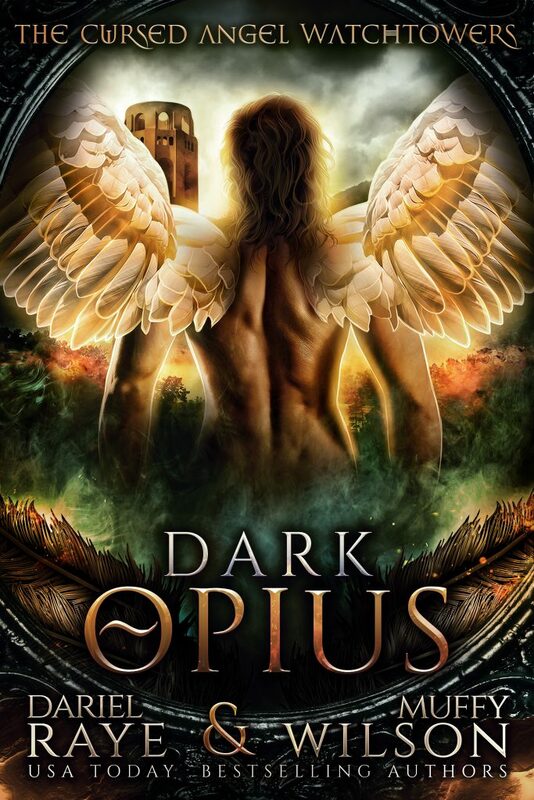 If you enjoy shifters and angels/fallen angels, I think you’ll like them. Who or What inspired you to write this book? Endangered species inspired me to write about beings specifically designed to protect them, and my fascination with God’s angels and forgiveness inspired the Nephilim series. What else about your book might pique the reader’s interest? 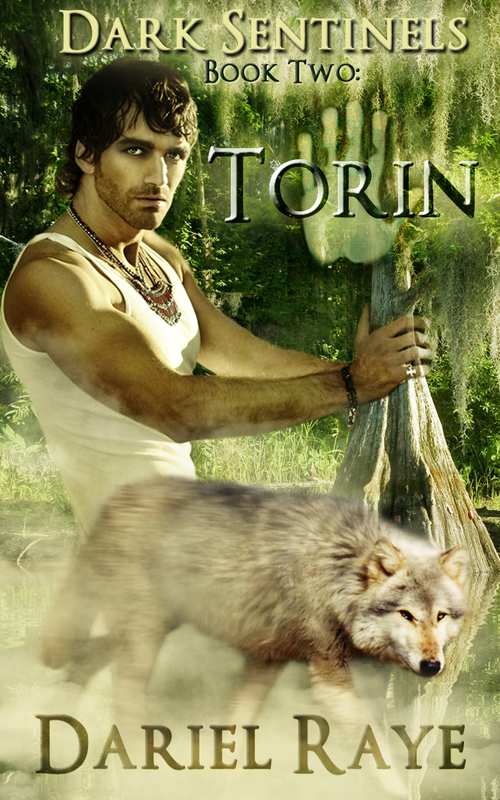 Imagine a world where males outnumber females 500 to 1, and women are automatically viewed as royalty – “The Alerians – Dark Progeny” and fall in love with super-shifters created by Mother Nature for the sole purpose of protecting endangered wolves, the natural guardians of nature. 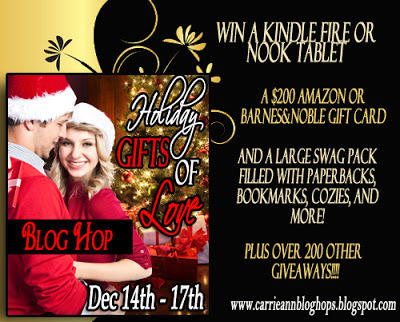 Hi, Wonderful Readers, and welcome to my stop on the Holiday Gifts of Love Hop! As you're rushing around preparing those last minute details for the holidays, I'll make this short and sweet. When I think about the holidays, I think about the meaning of unique, special gifts. Nothing makes me feel more loved and appreciated than my sweetheart attending my performance or a musical I've written just because I'm involved, or buying me tickets to a function just because he knows I love it. The support is an aphrodisiac. When he reads scenes in my novels just to understand me better and figure out what I want, he has my heart forever. What makes you feel loved? What special, unique gifts mean the most to you? rn to trust each other enough to overcome a new, deadly enemy. Christmas List Spotlight and Review with Linda Leander! Sometimes life isn't what we wish for. A Gypsy circus comes to a small Appalachian community in 1843. A naïve, misunderstood farm girl is entranced by the sights, sounds and costumes and is persuaded to join the troupe. Late one night she leaves the only home she has ever known and follows the Gypsy wagon circus. She learns to ride the main act - an elephant named Cecil and she and the elephant form an instant bond. 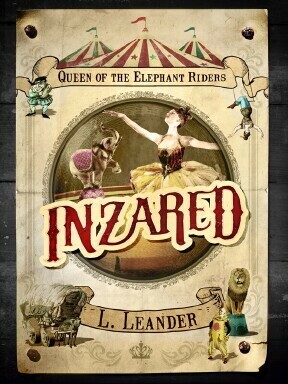 She is given the stage name of INZARED, Queen of the Elephant Riders and is delighted. But all is not as it seems. There are undertones of danger and sadness lurking in the shadows, as foretold by the old fortune-teller Vadoma. Inzared finds true love and works hard to gain acceptance into the Gypsy world. Someone is sabotaging the circus - but whom? Inzared and Paytre (the boss handler) search for clues. What of the family Inzared left behind? Will they ever forgive her? Does she miss them? This book is for anyone who has ever had a dream so big, so overwhelming that it consumed his or her every waking minute. Sometimes you just might get more than you bargained for and maybe it’s not what you really wanted after all. Inzared, Queen of the Elephant Riders is a wonderful debut release from L. Leander. The story follows Bertha Maude Anderson, a girl who grew up in the Appalachian Mountains of North Carolina in the 1800s. She is unsure of her place in the world, feeling she wants more than her small town home in Appalachia. When a gypsy circus comes through her town, she falls in love with the lifestyle the gypsy troupe leads--as well as being intrigued by a young man named Paytre and his elephant, Cecil--and finds herself convinced to leave her home and family behind to join The Romanoff Brothers Circus as Inzared, Queen of the Elephant Riders. The story is told from Inzared's point of view as she assimilates into they gypsy culture, finds love, uncovers a mystery that threatens the circus and the well-being of its performers and animals, and settles into her namesake as Queen of the Elephant Riders. L.Leander has done an excellent job of accurately capturing the time period and the gypsy culture and you are truly pulled into the world of a travelling gypsy circus in the 1800s. The characters are very likable and realistic with dialogue that feels natural and fits the characters well. You really get to know the characters and connect with them. The story has a little bit of everything you could want in a book: romance, mystery, suspense, adventure, tragedy, and comedy. This is truly a book that can be enjoyed by just about anyone, no matter your typical genre preference. This is L.Leander's debut novel, but from the quality of the writing, you would never guess it. Inzared is wonderfully written, plotted, and edited. Once I had started it, it was a challenge just to put it down. If this is only the beginning of what she has to offer, I can't wait to see what's next! 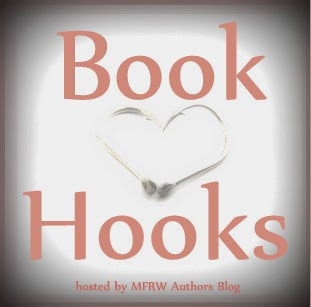 Author Linda Leander will be with me tomorrow for the last glimpse of my Christmas reading list, and on Friday, the 14th, let the Holiday Gifts of Love Blog Hop begin. I'd love to see you here for a chance to win over 200 prizes! Also, join authors Adrienne Thompson and Rebecca Grant as they continue the "Next Big Thing" blog hop December 19th! Christmas List Spotlight and Review with Synthia Williams! Knowing firsthand the heartbreak that comes when desire and emotion rule a relationship, Kenyatta Copeland assumes marrying Brad Johnson will lead to a safe and secure life. But as much as she believes she can plan her future, it’s hard to ignore the way her boss, Malcolm Patterson, ignites her passions with just one look. After Malcolm learns of her engagement, he makes a play for her heart and reminds her that passion between a man and a woman has its perks… but also its costs. When Brad confirms his suspicion that there’s more than work between Kenyatta and Malcolm, he devises a sinister plan to keep Kenyatta by his side. Torn between her promise to marry Brad and her irrepressible longing for Malcolm, Kenyatta must decide if she can live her life in a passionless marriage of convenience or once again trust her heart. Yet Brad does not intend to let her go easily, and by the time she realizes the depths of his treachery, it may be too late. 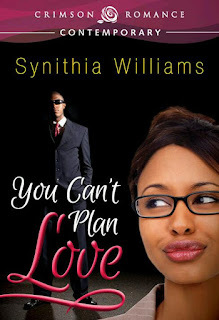 "You Can't Plan Love is a real page turner. From the first page until the very last, readers will enjoy the ride. Kenyatta Copeland is woman that many will relate too. She has a choice between Mr.Safe and Reliable or follow her gut impulse and go with Mr. Passion and slightly inappropriate. It's a choice many have struggled with and soon Kenyatta finds that trusting your gut is always right,and rarely wrong. This is a great weekend read and an impressive debut for Ms. Williams. 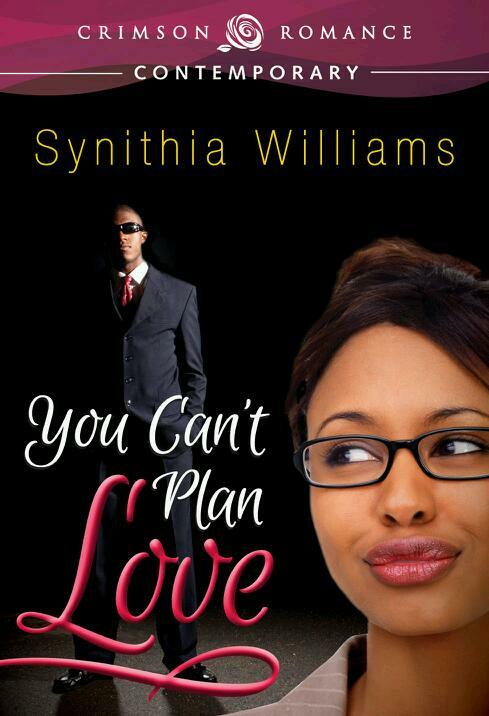 While you can't plan love, I can plan to read whatever Ms. Williams puts out next!" Tune in tomorrow for my "Next Big Thing" blog hop post! Duty versus love is the one battle warrior Kae doesn't know how to fight. Kae has trained his entire life to become an elite Protector of the Realm. But when he earns that honor he finds himself protecting something far greater: the Veil separating two worlds. On one side of the Veil lie untold stores of magic. On the Realm's side, magic is all but obliterated, and Kae is one of the few who can use it. The priests who secretly rule the Realm will do everything they can to control his growing magical abilities. He's willing to pay the price, even though it comes between him and Issa, the princess he loves. But the Veil has weakened over a thousand years and powers on both sides will stop at nothing to keep it intact. Strangers from the other side have kidnapped Issa to take her across the Veil and sacrifice her to strengthen it. Kae is the only one who can find her. If he goes after Issa, he loses everything he's worked so hard for. But if he chooses duty over love, Issa will die. 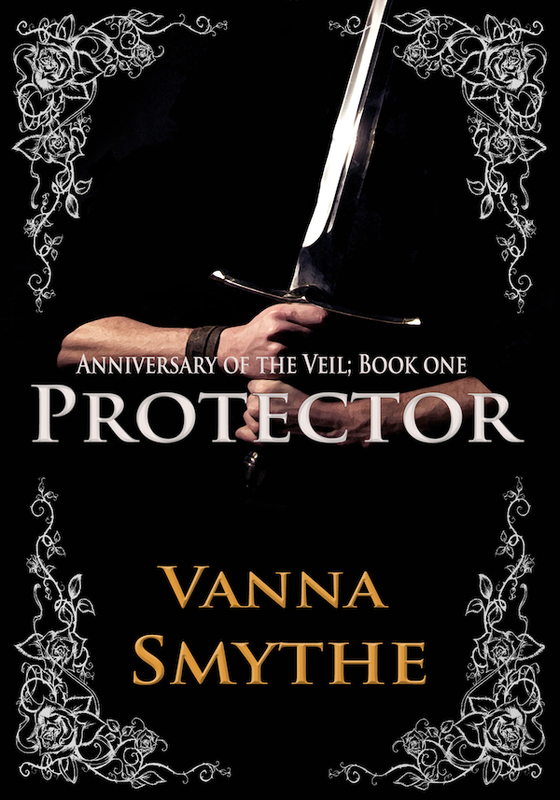 "That this is a first novel by Vanna Smythe is quite astounding. She not only tells a wonderful story with characters you can't help but care about, she also brings her world to life. This book has certainly left me wanting more and I look forward to the next installment eagerly. "Smythe's world's magic, political structure, and geo-arcana are unique and the conflicts are well done. I enjoyed reading this book a great deal and look forward to the next installment." "This novel's primary strength is in its worldbuilding and the crafting of this world beyond the Veil where priests rule the king and magic is employed in strong and evil ways. 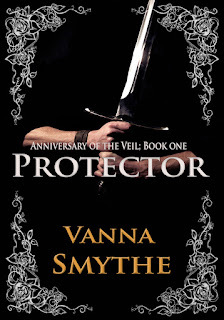 Protector was an enjoyable debut and I will look forward to book two and finding out what waits on the other side of the Veil." Christmas List Spotlight and Review with Beth Trissel! 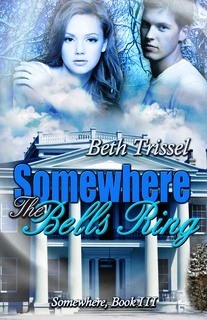 Light paranormal romance novella Somewhere the Bells Ring is a hauntingly beautiful love story; the ghost is intriguing, not horror, the mystery compelling, so a perfect read for most anybody. But don't take my word for it. Remember to leave me a comment with your e-mail address for a chance to win a free Kindle or PDF copy! New release on Dec. 5th, historical romance novella, A Warrior for Christmas. One interesting feature of the story is that Dimity Scott, is deaf from a bout of scarlet fever and the setting is colonial America. She can’t hear anything except the vibrations of sound and loves music. Another unusual twist, former Shawnee captive, Corwin Whitfield, would rather return to his adopted people and the colonial frontier than inherit a costly estate. Until he meets her. Then he’s in a quandary. Reclaimed by his wealthy uncle, former Shawnee captive Corwin Whitfield finds life with his adopted people at an end and reluctantly enters the social world of 1764. His one aim is to run back to the colonial frontier at his first opportunity––until he meets Uncle Randolph’s ward, Dimity Scott. Resolved to be cherished for herself, not her guardian's purse, Dimity resigns herself to spinsterhood. Then the rugged newcomer arrives, unlike any man she's ever known. But can she expect love and marriage from Corwin who longs to return to the wild with dangers a deaf woman dares not share? Congratulations, Petula! You've won a free e-book :-) Thanks, Beth. Come see me tomorrow for a glimpse at Vanna Smythe's paranormal romance! Dariel's 4+**** TBR Christmas List with Danita Minnis! In a world that is forever in flux between the past and present a great love story abides between Falcon and Sasha or Angelina, his Angel. She goes by several names as he does. They are in Yorkshire, England and Italy most of the time but there is a lot of travel between times and places. Although their names change between time periods from the 1780's till the present, it is not difficult to find them. They are always together. Falcon is an aristocrat that has turned into an assassin to accomplish his quest to annihilate an extreme evil. This evil is il Dragone, a devil-worshiping cult, he remembers from his dreams. He has been on the trail of a stolen Stradivarius for ten years. His boss is certain that a certain young lady that plays this instrument is the thief. Falcon is not so sure and decides he has to get up close and personal to find out why this beautiful young lady would be a thief. Angel was born in the aristocracy too but prefers her violin music to anything until Falcon enters into her life. Her dreams torment her of a terrifying fire where she is consumed to claustrophobic dreams of being literally enclosed. Her fears seem about to envelope her into insanity until Falcon. He seems so familiar to her and they can't seem to leave each other alone. Her only passion was her violin music but now it has a different flavor when he plays piano with her violin. The passion between them turns into a raging inferno and consumes them until they find themselves in a lot of trouble from outside sources. The main antagonist is a cult that worships a dragon. The story weaves them through a labyrinth with a dragon on their trail ready to eat them with his fiery head. Other dangers await with the cult members trying to murder them. Without warning you are on beautiful estates that have withstood the sands of time. The beautiful descriptions of these estates keep you intrigued. Their memories and trials take them on a cross-country hunt for these people evil people. Next we are back into danger again. The dragon's blood gives the cult extraordinary powers. They can disappear and appear as shadows on the walls. Falcon and Angel battle these powers of evil over several centuries. Their determination and love keeps the story going, so from cover to cover you can't wait to find out what happens next. It has a passion and mystery that ignites your blood. I was moved by the personalities of the characters from the heroine finding her own strength and power to the hero that only grows more powerful in his time. The characters are myriad and complex in their intensities. The poetic descriptions were beautiful and moved the story along gracefully. 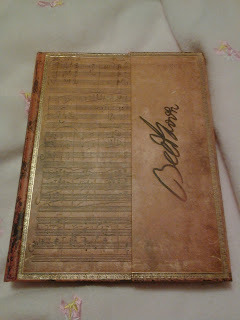 The music in the story only strengthened the characters personalities and added color and depth. They form a basic tale of love conquering time and place. I was very moved by the lover's story. Tomorrow, author and friend Beth Trissel will share 2 Christmas stories, including a new release!